The arrival of seed catalogs in mailboxes ranks as one of the most hopeful times in a gardener’s year, as it provides us with a welcome link to spring. February is the perfect time to plan next spring’s vegetable garden. One of the first considerations is deciding what to grow. This can be answered by simply listing the veggies or asking your family to name the veggies they like to eat. There are a few other considerations before placing your order for next year’s garden—such as deciding if you should plant seeds or transplant vegetable starts. Seeds of many vegetables can be sown directly in the garden, including root vegetables like carrots, radish, and beets. Peas, beans, and squash are also best directly sown. Cabbage, tomatoes, and peppers are better given a head start inside first, and then transplanted into the garden as small plants, because they need a long, warm growing season. 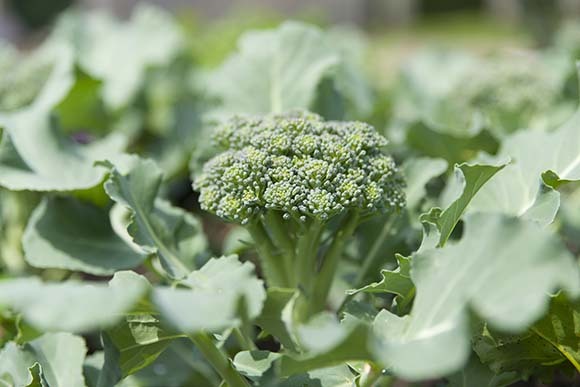 For spring plantings, set broccoli transplants out two to three weeks before the last spring frost date. Edible spring planters can be harvested and repotted with next season’s veg. Timing is important in the vegetable garden, and knowing that our growing season has approximately 170 frost-free days helps guide decisions on which plants to plant and when to plant. Our risk of frost is generally from October 15 through April 27, but can vary two weeks in either direction. Understanding that vegetable varieties have varying tolerances to frost helps you plan your planting calendar. 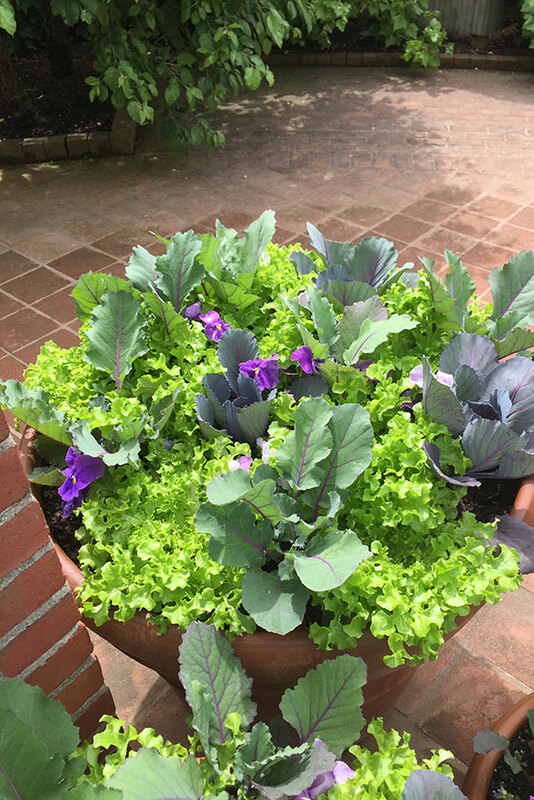 For example, those very hardy plants like collards, kohlrabi, kale, spring onions, pea, spinach, turnip, and cabbage can be planted out four to six weeks before our last frost date. Those called “half hardy” or “frost tolerant”—such as beets, Swiss chard, carrots, cauliflower, and mustard—must be planted a bit later; two to three weeks before the last frost date. The best seed catalogs will help decipher a gardener’s questions, and help plot, measure, and sort out the seed math needed to get started on a vegetable garden. Most seed is available in organic and non-organic options, with the latter usually the least expensive. Good catalogs provide keys to help decipher the icons (vegetable resistance codes) in plant descriptions. After all, a seed company’s success is based on a gardener’s success with their products. As our nutritional consciousness rises, the taste and the health benefits of growing your own organic produce is a pursuit worthy of winter afternoons spent planning. Johnny’s Selected Seed is a 43-year-old, employee-owned company in Maine, recognizing that “good food is the basis of our well-being.” Widely used by home gardeners and small market farmers, the seed selection includes hundreds of vegetable, flower, and herb varieties in organic and non-organic (options) seeds. The catalog provides grower’s information for the novice to advanced gardener—it’s a virtual garden education. Johnny’s provides well-tested tools for garden tasks from bed prep to trellising, to season extension, and cover cropping. Comparison charts like the one on leaf lettuce help gardeners select seeds based on their specific growing conditions. Charts and photos compare length, width of mature veggies, and harvest windows. 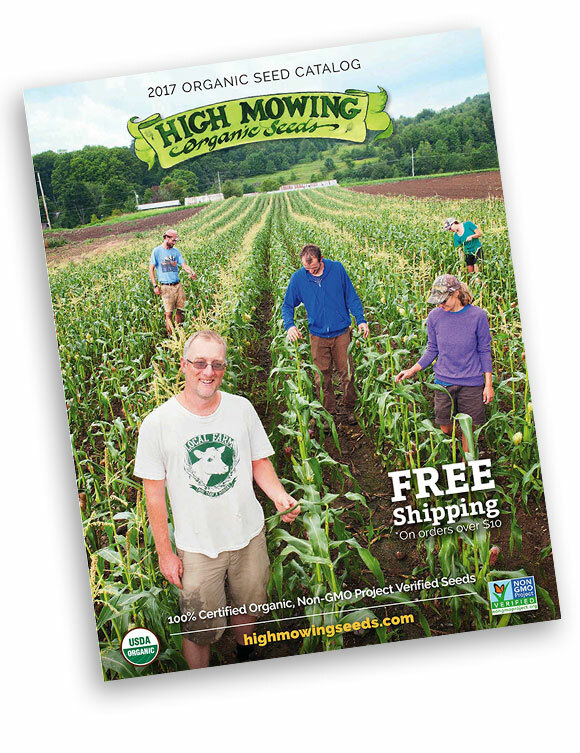 High Mowing Organic Seeds simply provides 100 percent certified organic, non-GMO Project Verified vegetable and flower seed to organic growers. The helpful seed catalog key on page two of the new 2017 catalog includes a tutorial on how to read the individual variety descriptions that follow. Seed definitions of open pollinated (OP), heirloom, and hybrid seeds are aptly explained and marked throughout. Crop types are headed by general cultural information or the “how to” grow beans for example. Then each listing is complete with the days to maturity (based on conditions in Vermont where HMO is located), disease resistance and any special attributes of the plant including breeder credit. Don’t miss the invaluable planting chart on the last page. High Mowing Organic Seeds is an excellent resource for passionate organic growers. Burpee acquired The Cook’s Garden more than ten years ago, and it has helped nurture America’s love affair with healthy, delicious food by offering the best gourmet veggies, greens, and herbs from around the world. The catalog offers seeds and plants for gourmet gardeners, with vegetables and fruits often pictured in recipes alongside culinary tips. Offering well-curated collections of helpful horticultural gadgets, you’ll find ash-handled tools, trellising supplies, rain gauges, and garden hods (flat, wood-handled basket) to make harvesting a snap. The Cook’s Garden catalog offers a wide range of quality products to indulge your inner gardener-chef when produce arrives in the kitchen. They’ve got canning, preserving, and dehydrating supplies covered. If the ultimate luxury is having the right tool for the job, check out the herb snips, the strawberry huller, and my current obsession, the new pickle slicer. Seed Savers Exchange helped start the heirloom seed movement by locating and preserving almost 20,000 varieties by growing them and seed banking at Heritage Farm in Decorah, Iowa. The not-for-profit’s mission is to conserve and protect America’s culturally diverse but endangered food crop heritage for future generations by collecting, growing, and sharing open pollinated seeds and plants. The catalog contains an anthology of stories and fascinating anecdotes connecting the reader to plant history, and has a comprehensive roster of vegetable seed many of which are certified organic. Be sure to check out the heirloom flower seed, garlic, and seed potatoes. It’s a great resource for seed saving supplies and helpful guides to get started planting and seed saving. 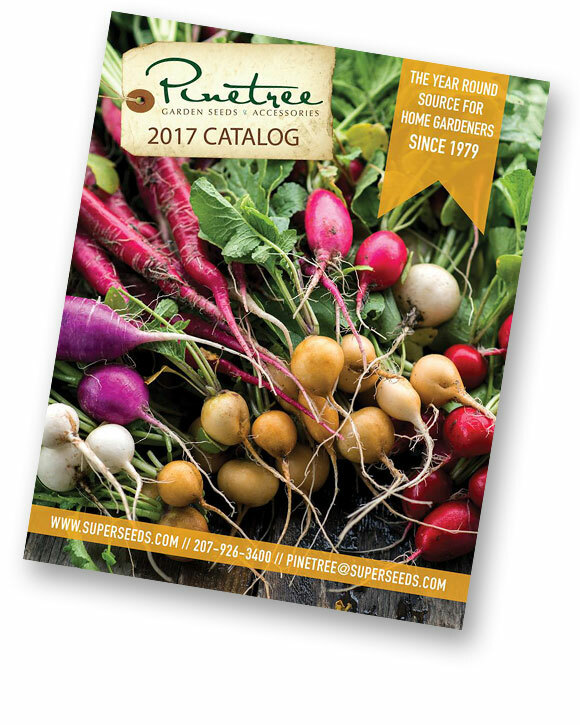 Pinetree has been a year-round source for the home gardener for more than three decades. Their product lines go well beyond a fairly complete line of gardening gear, including soil kits and amendments, and animal deterrents. Also offered are natural bath and hair products, kitchen gadgets (I want the tortilla press), and bee, bat, and bird products. If you’d like fragrant oils and herbal teas to go along with your vegetable seeds, look no further than Pinetree. There is a comprehensive compendium of some of the best gardening books that I’ve seen. Baker Creek offers 1,800 vegetable, flower and herb varieties claimed to be the largest in our country. A focus on preservation, it not surprising they have one of the largest selections of seeds from the nineteenth century. The fittingly named Rare Seed Catalog is like the Vogue magazine of the vegetable world. It wins the prize for the most beautiful photographs of the most avant-garde produce collection, complete with nutritional factoids and culinary inspiration. Stories from seed collecting expeditions around the world—recently Thailand, Myanmar, and India—are in the Heirloom Gardener, an associated and nationally distributed magazine written as a tool to not only promote and preserve our rich agricultural history but as explanation of why we need to care about it. The Rare Seed Catalog provides a selection of 78 varieties of melon and 20 types of okra. Baker Creek has a limited but diverse availability of live plants to ship. If goji berries, ginger root, and dragon fruit tickle your fancy (and you either live in the subtropics or have a greenhouse available) look no further, they’re in the Rare Seed Catalog. Baker Creek encourages political activism, and the catalog is written with an underlying ripple that we’re reaching the tipping point in the struggle against GMOs. Bush or pole? Round, broad, or flat-podded? Shellers or runners? Golden, purple, filet, or lima—Vermont Bean Seed Company’s catalog for home gardens has them all. Garlic immersion is made possible by paging through the Filaree Garlic Farm catalog. A certified organic garlic grower in Washington State, Filaree encourages placing early orders of favorite rocaboles, porcelains, and purple stripe garlic. Whether you are growing tried-and-true tomato varieties or venturing on to new releases and heirlooms, Totally Tomatoes offers hundreds of tomato varieties to the avid tomato grower. Categorized by size, shape, and color, Totally Tomatoes is a veritable rainbow for the tomato connoisseur. Focusing on Solanaceous crops, dozens of pepper varieties are included, too. 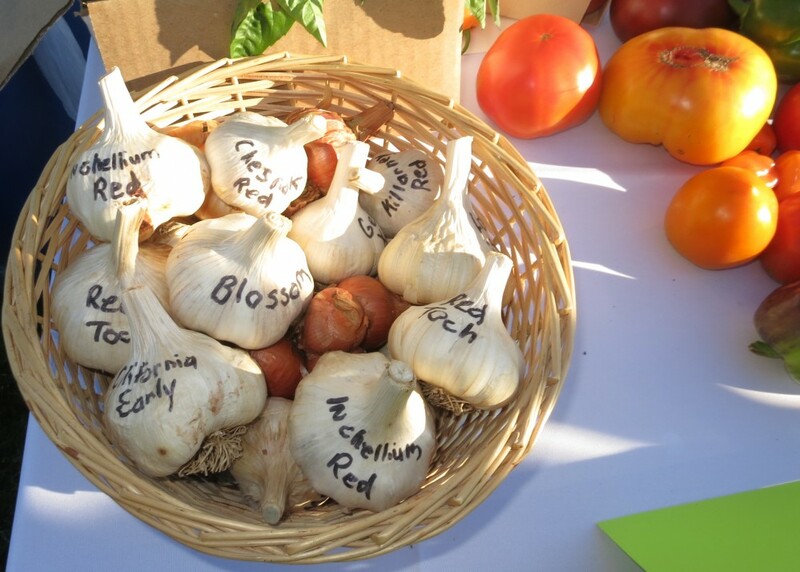 Try growing different garlic varieties to find the flavor you like best. It’s hard to resist a list of a few of my favorite varieties to directly sow into the spring garden. Knowing how much seed will sow a 10-foot row and the days to maturity (when the harvest can be expected) is the type of garden math that tangles up many a gardener, but quality catalogs will provide vegetable grower’s guides to help to sort out how much seed you’ll need. Radish: Direct-sow spring radish as soon as the ground can be worked, or four to six weeks before the last frost. Radish is best grown quickly in cool, damp conditions. It’s easy to grow, and requires only 28 days from planting to harvest. Try these spring radish cultivars: ‘Early Scarlet Globe’, ‘Rudolf’, and ‘Crunchy Royale’. 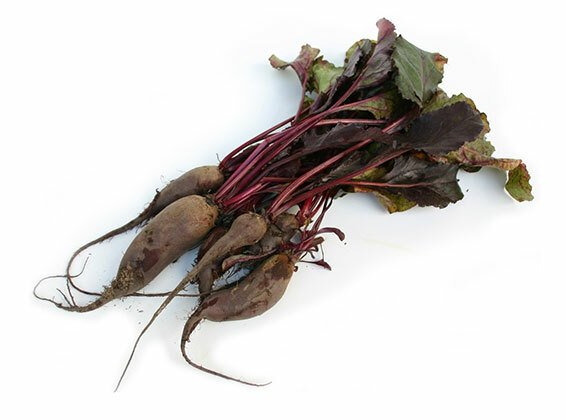 Beets: Nothing says spring like tender, freshly harvested baby beets. Sow about two weeks before our last frost date and thin to 3 inches between seedlings. Fertilize with liquid seaweed. Beets have great culinary versatility, so plant a combination of gold and red. ‘Detroit Dark Red’, ‘Bull’s Blood’, and ‘Burpee’s Golden’ are great choices. Swiss chard: We love ‘Rhubarb’ and ‘Five colored Silverbeet’. These greens can grow through the entire gardening season. By harvesting just the outer leaves with a harvest knife, the plant stays in place and the integrity of your design stays intact. Carrots: The sweetest, juiciest, and most flavorful carrots are the French heirlooms. Sow two weeks before the last frost date. 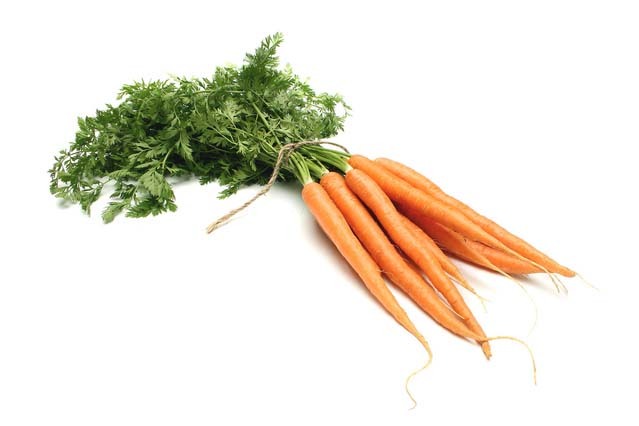 Carrot is slow to germinate, so have patience. Our favorite varieties for Chicago growers: ‘St. Valery’, ‘Paris Market’, and ‘Scarlet Nantes’. Spinach: One of the earliest-germinating cool season vegetables, spinach can be direct sown in 2-inch bands or rows four to six weeks before the last frost. Plant ‘Corvair’, ‘Tyee’, or ‘Donkey’ for the most reliable spring crops. Lettuce: We love ‘Tennis Ball’, ‘Black Seeded Simpson’, ‘Rouge d ’Hiver’, and ‘Winter Density’. One gram of seed will sow a 15-foot row. Spring greens: Try mache, arugula, or mizuna; 30 to 50 seeds will seed one foot of row when sown as a cut-and-come-again salad mix.